Recently revealed mural in downtown Ann Arbor depicting the city’s first beer hall. This week, "Art and Soul" is about the culinary arts. 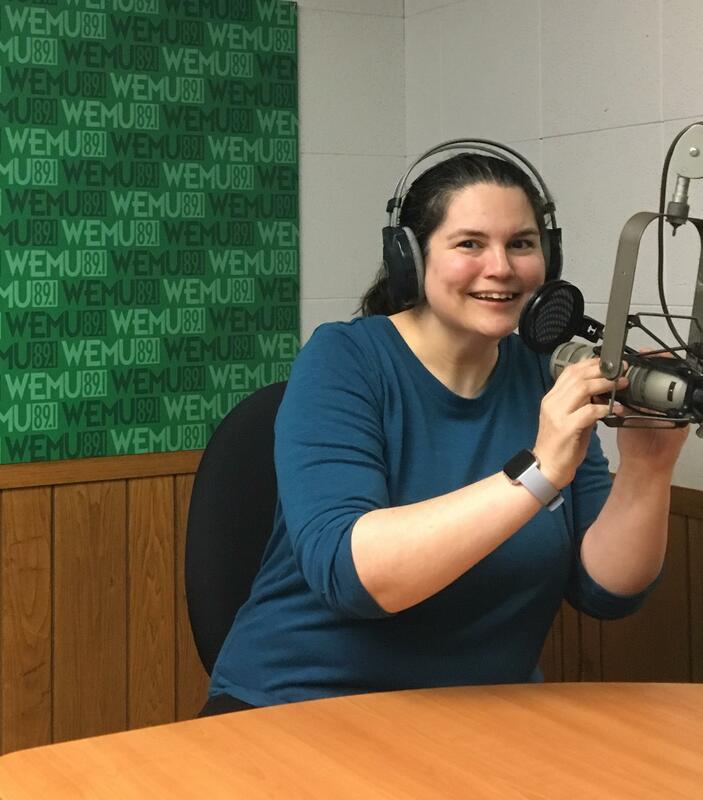 89.1 WEMU’s Lisa Barry is joined by her regular co-host for this segment, Jessica Webster, and community “connector” Patti Smith talking about the history of beer in Ann Arbor. Known as TeacherPatti, Patti Smith hosts a number of events around Ann Arbor. She's planning to soon resume her "Hops and History" beer tours, presenting interesting history of beer in Ann Arbor. She talks about a recent mural uncovered on the wall of the former "Peaceable Kingdom" store (pictured above) in downtown Ann Arbor with a sign from the first beer hall in Ann Arbor. She also talks about the new Edelbrau Brewing Company on Ellsworth in Ann Arbor, where they make and sell a beer based on a recipe from the 1800's. This week, "Art and Soul" is all about the culinary arts. 89.1 WEMU's Lisa Barry and Jessica Webster are joined by Adam Baru, who owns three local restaurants, Mani Osteria, Isalita, and Mikette in Ann Arbor. Baru talks about the re-launching of Mikette’s menu with a Mediterranean flare.